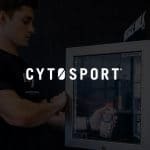 Hormel Foods Corporation has announced a deal to sell CytoSport to PepsiCo for $465 million, as the company behind the Muscle Milk brand looks for a new start less than five years after its acquisition by the food conglomerate. 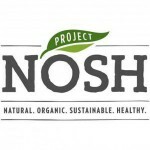 In order to best meet the needs of our readers and event attendees, we’re excited to announce our newest media property, Project NOSH, which will cover the world of Natural, Organic, Sustainable and Healthy packaged food companies. This new platform will offer increased daily coverage of the trends, news, personalities and events that are affecting food brands as they launch and grow. LAST CALL – Super Early Bird Registration for BevNET Live Events in 2014 Ends Today! Today is your last opportunity to get $250 off the full registration price for our BevNET Live Summer ’14 and Winter ’14 shows. As the premier business conference for the non-alcoholic beverage industry and NOW is the time to reserve your spot and save hundreds!